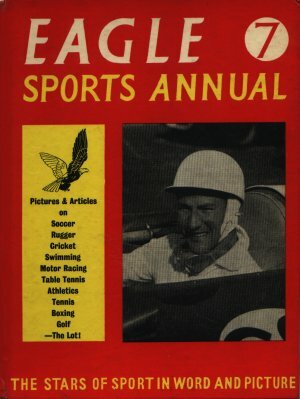 Eagle Sports Annual 7 lists Stirling Moss as the Eagle Sportsman of the Year and tells his whole story in one of the articles. Jimmy Hill's story is also told, long before he found fame as a T.V. presenter and commentator. Dimensions : 19cm x 25.5cm with 128 pages.